Bernard (Baruch) Spinoza gained fame when he was excommunicated from his Dutch Jewish community because he had a different view of God than the traditional one (although I am not quite sure what that means). This film brings Spinoza to Tel Aviv where unrequited love causes him to stay in his home and search for the secret of human happiness. He meets Clara and he negotiates with France, dies and the Messiah even comes to see what is going on and then he leaves—but not before he is introduced to the modern city of Tel Aviv and Israeli society. 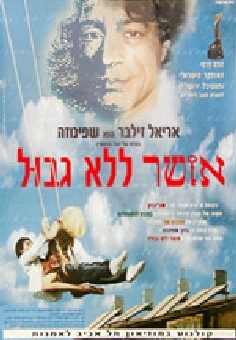 The film is directed by Yigal Bursztyn and in Hebrew is known as “Osher Lelo Gvul”. Life in modern Israel is portrayed in a humorous way and when simple minded descendant of Spinoza lives it, he also translates and comments on it. This entry was posted in Film, Judaica on March 28, 2013 by Amos.